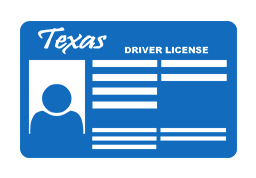 You may think that you’re ready to head down to the TDLR office to get your Texas driver’s license, but there are still some things you should know. Here’s a helpful list of what the TDLR will expect from you. You’ll be asked to fill out the TDLR’s official application. This application has to be filled out in-person at a Texas TDLR office. They’re going to ask you basic information such as your full name, birthday, and mailing address. You’ll need to provide documents that can prove your identity. This will most likely be a social security card or anything else that provides your social security number. You’re also going to have to answers medical questions about your ability to safely operate a vehicle as well as provide a physical description of yourself to be printed on your license. If you already own a vehicle, you’ll need to provide proof that it’s insured as well as proof of registration. Don’t forget the application fees. And of course, you need to provide proof that you completed drivers ed such with your Certificate of Completion from our program. You’re also going to have to complete several tests. The first would be the written knowledge exam. Don’t worry. If you passed our online course, you’ve already taken care of this one. You’ll also need to pass a basic vision test. Finally, you’ll have to pass a behind-the-wheel driving test with a TDLR representative riding along with you. Pass those three tests and you’ll receive your Texas license!